Capacity from 22 to 150 Tn, stroke up to 250 mm. 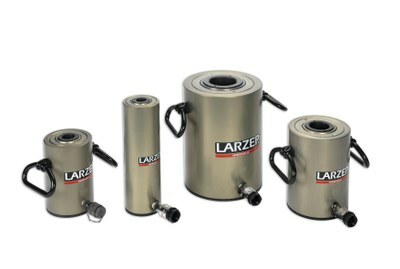 Lightweight hollow spring return cylinders. Over 40% weight reduction when compared with steel equivalent. All aluminium parts are trated to improve resistance and extend working life. Also available in double acting version DAH and in steel SH and DH. Strand jacks and Post tensioning available upon request.